As the pretty name would suggest, Kiss the Moon is all about getting a good night’s sleep. They are a Yorkshire-based company with a small but perfectly-formed collection of bath and face oils, all designed to “get you in the right frame of mind for sleep” with skin-soothing ingredients and aromatherapy oils. 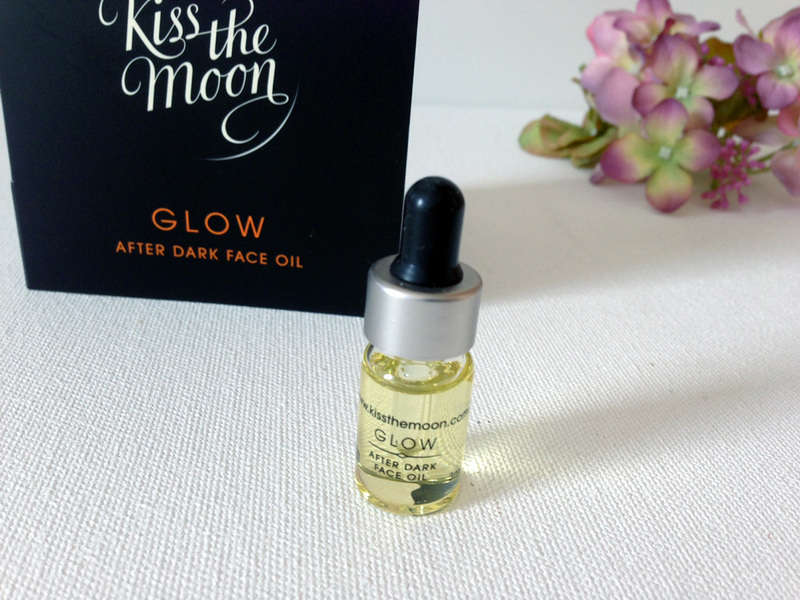 I’d never heard of the brand before, but as I received a small sample bottle of “Glow” After Dark Face Oil I’ve been trying it out at bedtime. Glow is one of their 4 signature blends, each of which has different ingredients and properties for different skin types (the others are “Love”, “Calm” and “Dream”). Glow has a warm citrus scent containing orange, geranium, myrrh and litsea, and is designed to invigorate and moisturise dry skin so you look radiant in the morning. It’s about beautiful sleep as well as beautiful skin though, and this particular blend of ingredients is about calming any anxiety and creating a positive spirit ready for bed. The full-sized bottles look luxurious in matte black with the swirling logo in white, and they come with dropper tops (even my tiny sample has one). I use the dropper to add a few drops each night to my hands, rub them together and then pat onto my face and neck before bed. 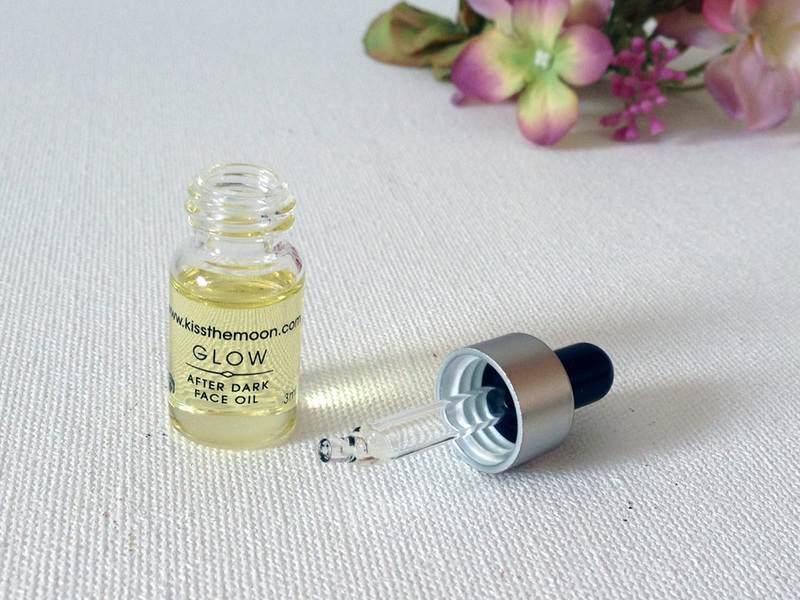 It’s the last step in my skincare regime after cleansing and moisturising and I think it’s a nice idea to combine night-time skincare with aromatherapy, especially if you struggle with sleep. Personally I don’t often have trouble sleeping (unless I’m off to Disneyland the next day), so although I’ve been trialling this product I can’t really comment on whether it works miracles in this area. I think the fragrance is lovely and calming though, and I’m enjoying using it for wellbeing and relaxation purposes. I’m not sure I’d invest in a full-sized bottle because it has the luxury price tag of £48 (and it’s more of an addition to my existing skincare rather than replacing it), but for anyone needing some help sleeping I’d definitely give it a go. 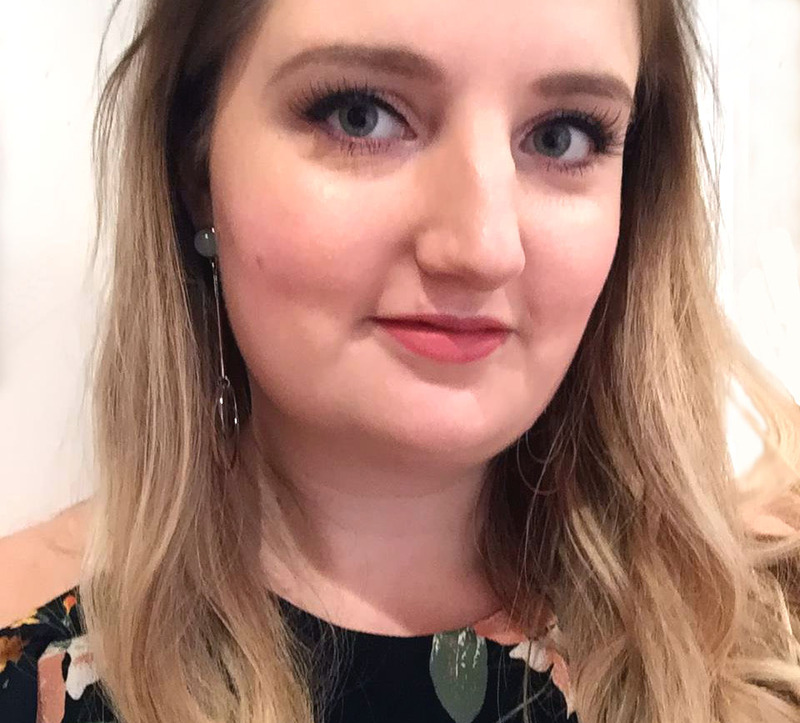 Kiss the Moon also gets a big thumbs up from me for being cruelty-free, paraben-free and also a local British business!